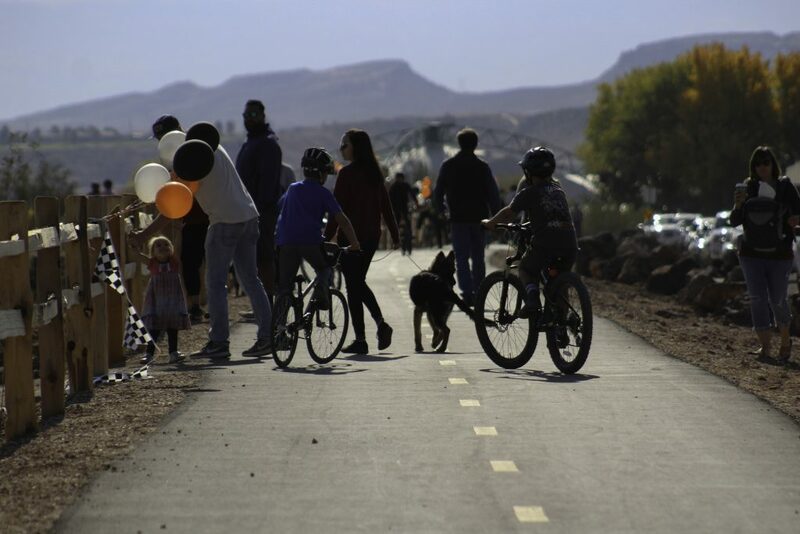 ST. GEORGE — Crowds of children and adults alike gathered at the new Snake Hollow St. George Bike Park to enjoy food trucks, vendors, trails and bike jumps in celebration of the grand opening of the only year-round municipal bike park in the state. The event began with the singing of the national anthem, short speeches from a few of those involved in the planning of the park and a dedicatory prayer led by Pastor Jimi Kestin of Solomon’s Porch Foursquare Fellowship. 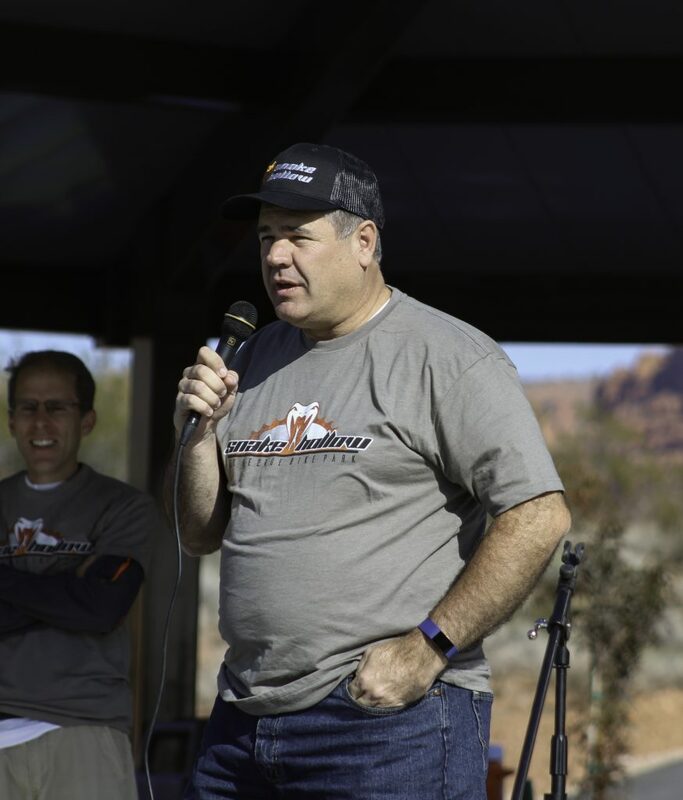 St. George Mayor Jon Pike then cut the ceremonial ribbon, releasing crowds of cyclists onto the course. “Everything about it is awesome. 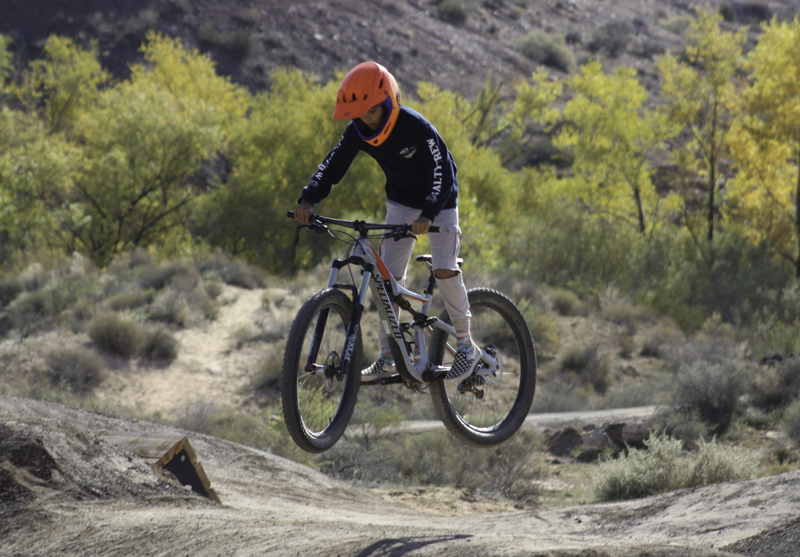 My favorite part is the jumps because you just fly through the air and have fun,” 11-year-old Mason Simmons said. 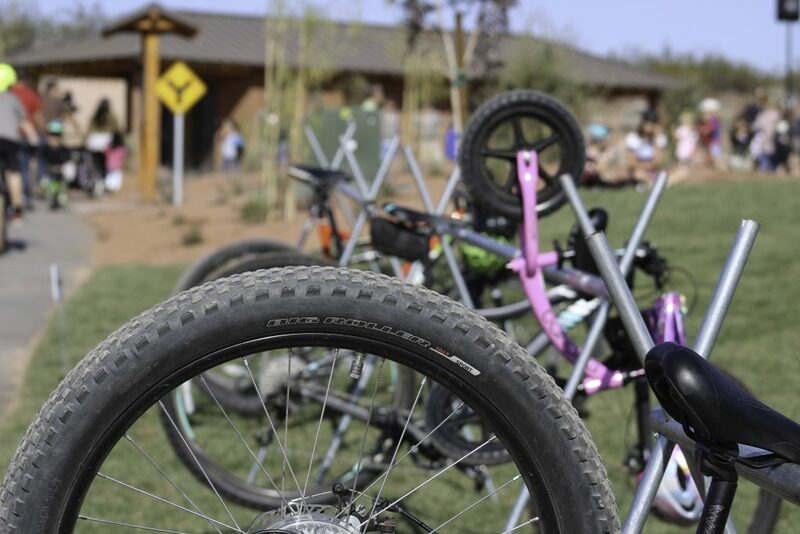 The bike park, located in the Sand Hollow Wash area between Lava Flow Drive and Tuweap Drive, took nearly six months to complete and cost $1.7 million to build. 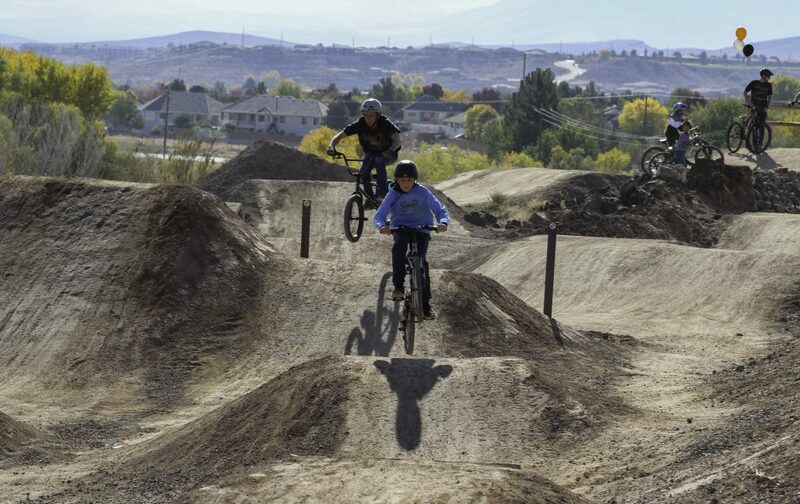 The park is made up of tracks, courses and loops for riders of all ages and skill levels, including skill-training areas with gravity jump trails, drop zones and pump tracks. 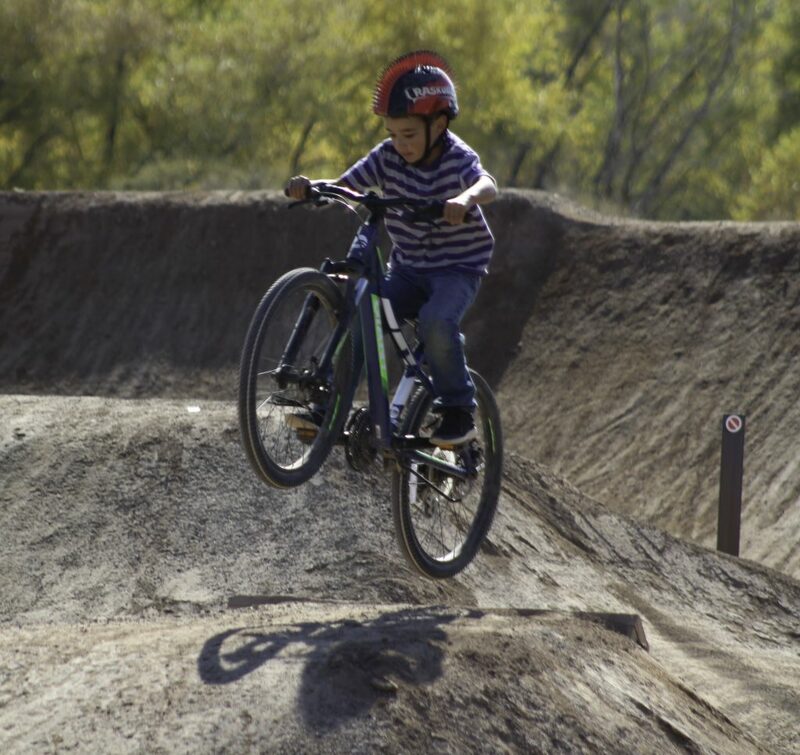 “The pump track is really cool because it just twists and turns. 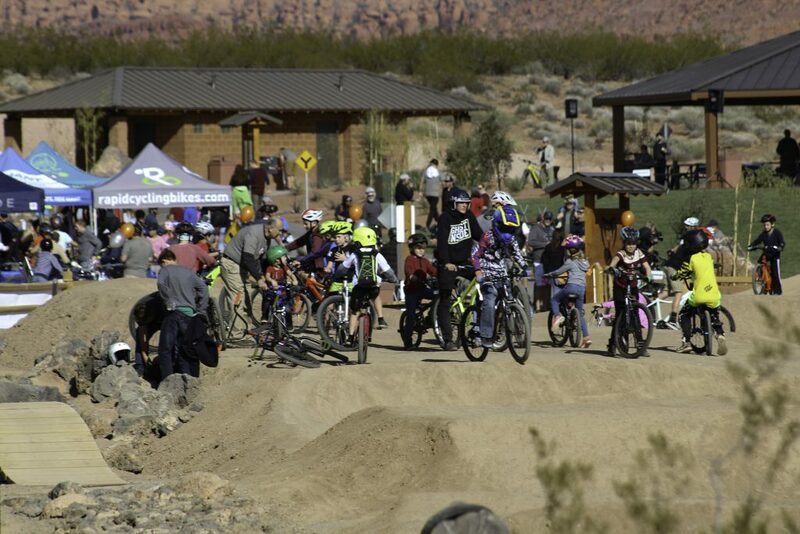 Honestly, we haven’t had a cool bike park in St. George for a long time and I feel like this is really giant,” 13-year-old Whalen Jensen said. 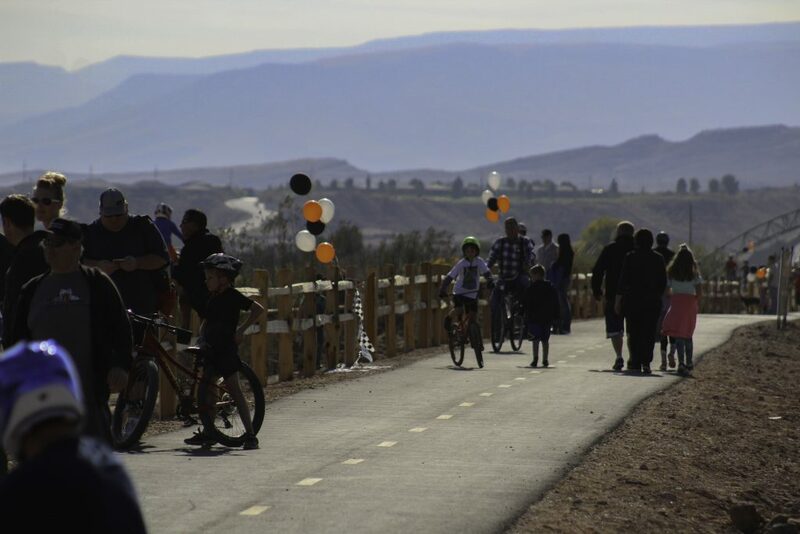 Saturday’s grand opening celebrated only the first phase of the project. 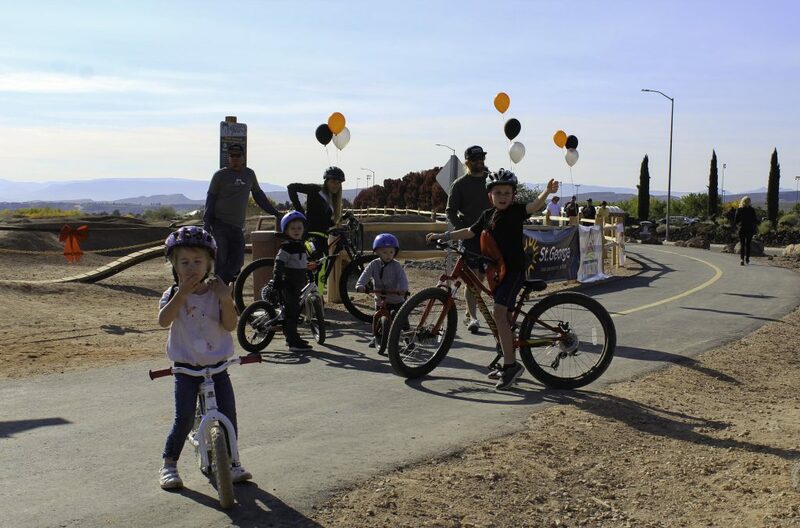 The second phase is projected to begin in spring 2019 and will include a cross-country trail loop, additional pavilions and restrooms, paved parking areas and a playground, costing approximately $300,000-$400,000. Pike said the city anticipates that the next phase will bring more events, tournaments and tourism dollars to the area. “We know that people come here and live here for these types of things, it’s part of our quality of life,” Pike said. 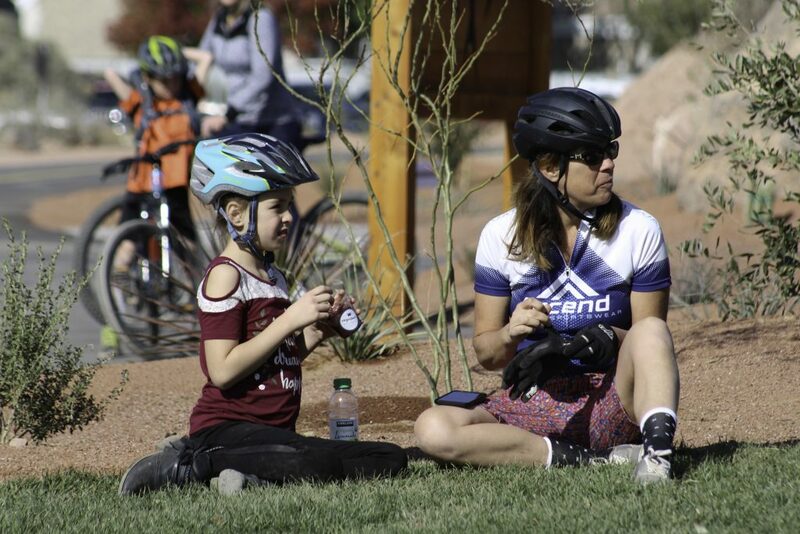 City officials have known for a long time that they wanted to do something more that just build a simple park on the property where the bike park is located. County Commissioner Zachary Renstrom recounted asking then-Mayor Dan McArthur, former city manager Gary Esplin and then-leisure services director Kent Perkins about the property when he first moved in down the street from it. They told him they were saving it for something special. 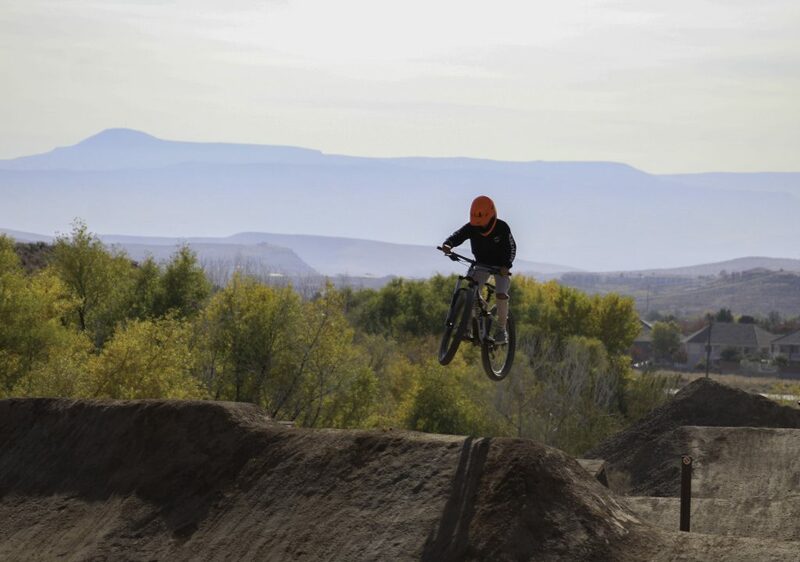 Snake Hollow is the only year-round bike park in Utah, allowing for continuous training in every season. 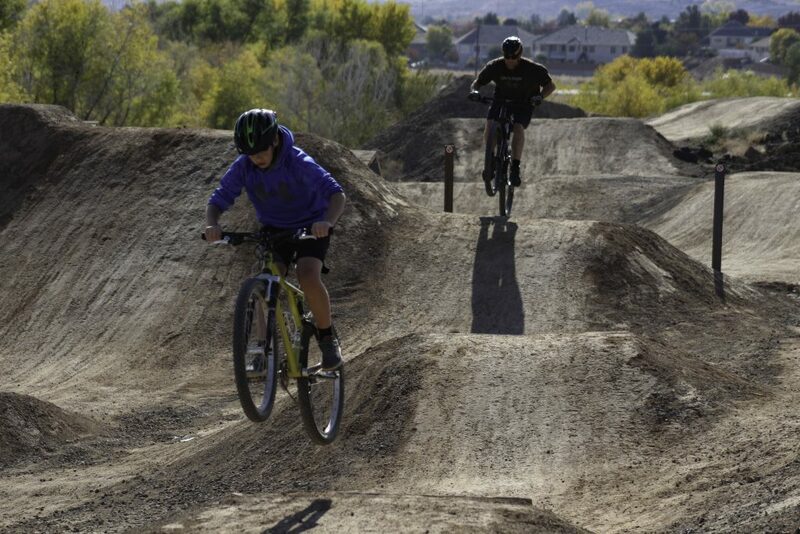 The city anticipates that the park will host National Interscholastic Cycling Association riding competitions for high school races and possibly mountain biking camps. Waiting for the injuries and lawsuits. I guess I don’t see this as a priority and the cost, 1.7 Million to build and another $300,000-$400,000 coming down the road, seems expensive. The other issue is the City can’t get the traffic lights to work correctly and they want to keep attracting every sort of event they can get to come here. I drive by there everyday and I’m sure there are people out there that can ride, but there a lot more that think they can ride. Some of those jumps look like they were made for professionals. There’s no reason to be such a debbie-downer. People get hurt or killed doing things they love every single day. Just because you prefer to lay on the couch stuffing your face with greasy artery-clogging potato chips every day, doesn’t mean everyone needs to follow. We should be thankful the city offers a place where people can enjoy these fun activities. 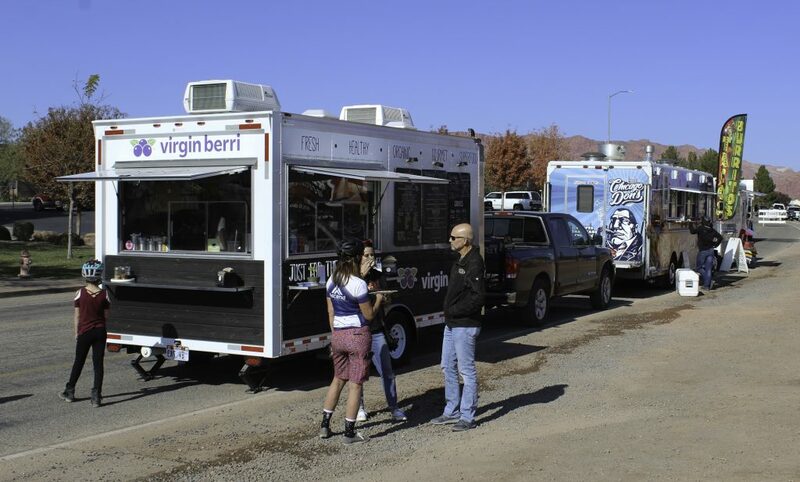 We already have that and it is open 24/7 on every street in STG. The law that mandates hotel tax dollars be spent on projects that have questionable justification based on guidelines that leave a lot of wiggle room should be changed. Let’s have 50% used for needed infrastructure such as roads, sewers, public safety etc which used by all, 25% for schools (simply because there is no end to what they say they need) and then up to 25% for these wonderful quality of life projects. Next time you’re in contact with state senators and representatives be sure to mention the topic and see what they say. 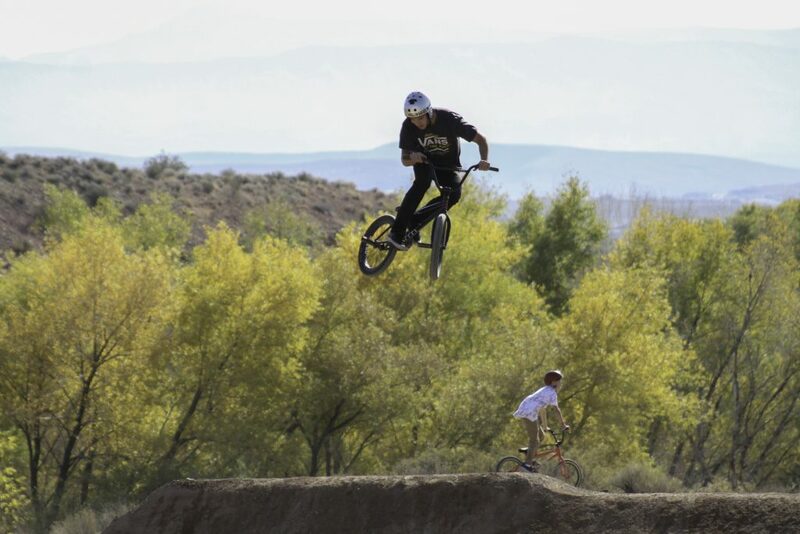 Yessiree…….the heck with these dangerous bike parks! Should have saved all that money for other things and let the kids stay home glued to their computers, laptops and smart phones. 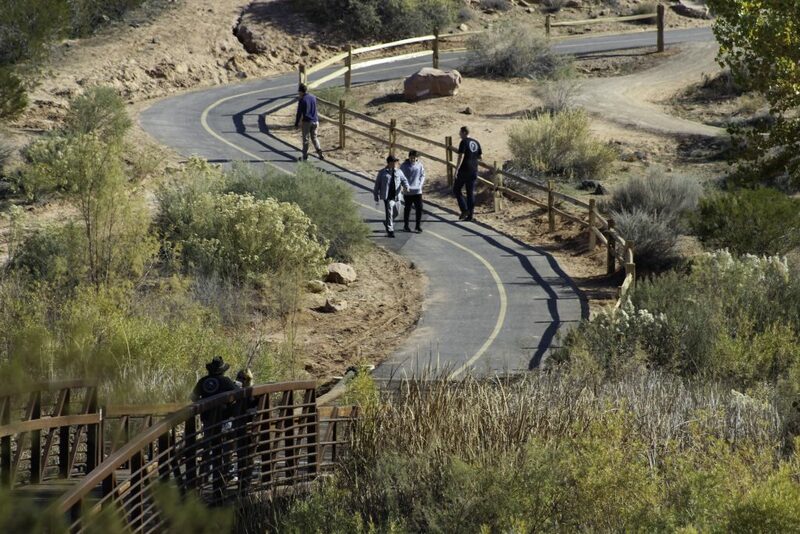 No sense in letting them have a venue where they can get outside, get some excercise and hone their athletic abilities. Nonsense. “Life Elevated” should apply to them as well as the rest of us. 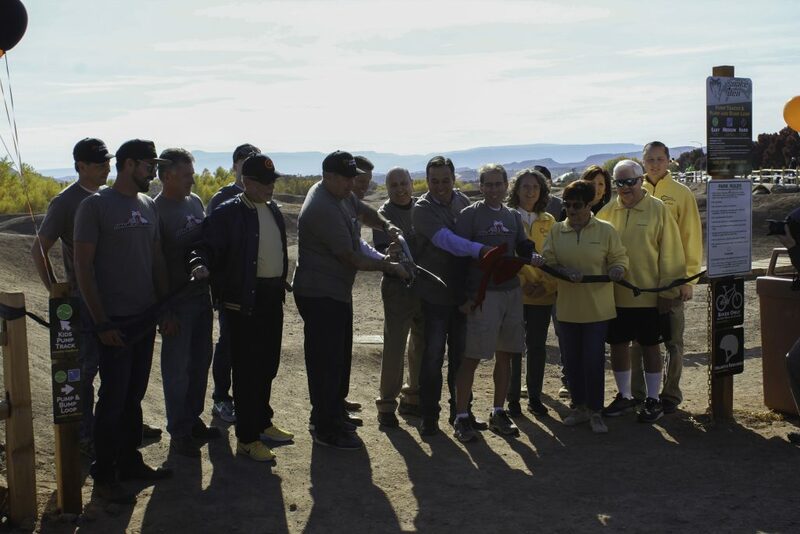 Bravo, St. George! This park is money well spent. 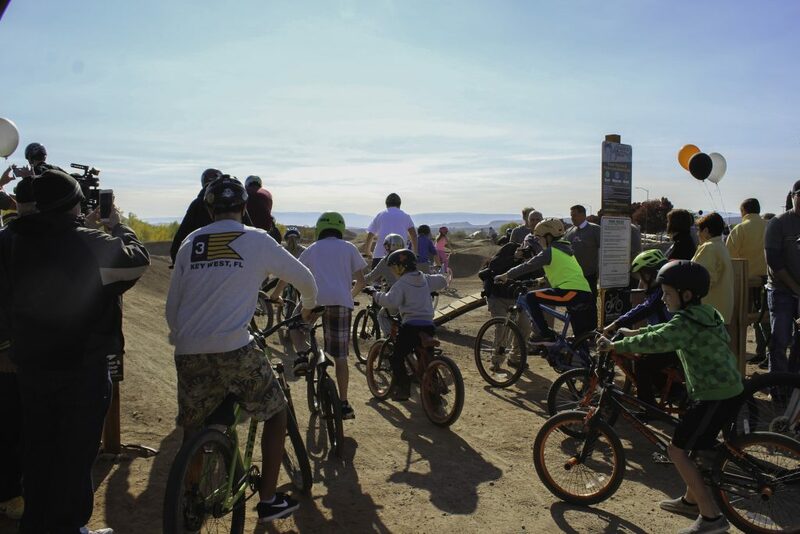 It locates the kids into one area where they can ride together and enjoy it away from public roads.